Texas Rowing Center / Texas River School, 1541 West Cesar Chavez St.
Everyone's favorite, most picturesque, and "quintessentially Austin" summer EPIC outing is back! On warm summer nights in Austin, hundreds of people gather to see the world's largest urban bat colony emerge from under the Congress Ave. bridge, but the best seats in the house are in small watercraft on the lake. 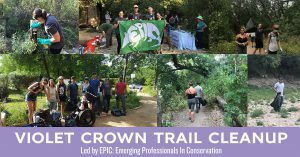 Join Hill Country Conservancy's Emerging Professionals in Conservation for a relaxing sunset paddling tour along Lady Bird Lake by kayak or canoe to see the bats. Join us Saturday, December 1st for an exclusive celebration at The Castle! 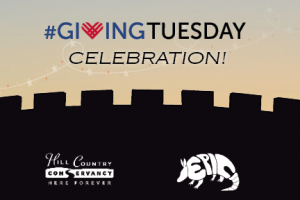 This party celebrates the tenth anniversary of the Emerging Professionals in Conservation (EPIC) program and honors our Giving Tuesday supporters. Become an EPIC Member or donate $100 or more on #GivingTuesday (November 27th) to receive your invitation to this exclusive event! 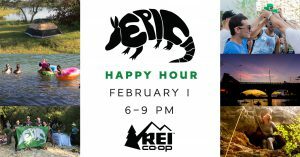 It's time to get out in the Hill Country, eat great food, drink beer, play games, make new friends, and stay up late with Emerging Professionals in Conservation (EPIC)! 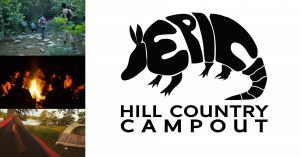 This members-only event provides access to Puryear Ranch, a beautiful, conserved property in the Texas Hill Country. Not an EPIC member? Join now and come camping with us!